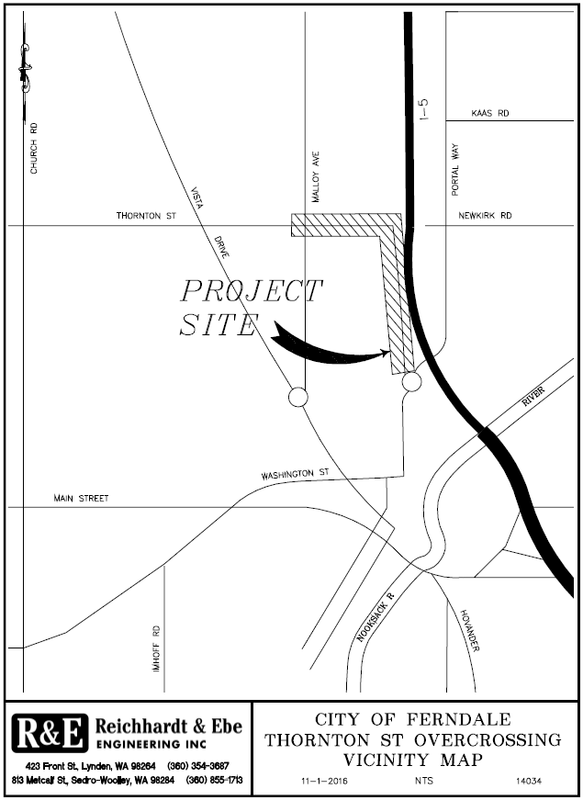 This project will improve and connect Thornton Street, from Malloy Avenue to the roundabout at Portal Way/Second Avenue, via an elevated crossing at the Burlington Northern Santa Fe (BNSF) Railway right of way and tracks. The new bridge will provide access between Malloy Avenue and the Portal Way roundabout which is anticipated to become a principal route for the majority of Ferndale residents living on the west side of the City. 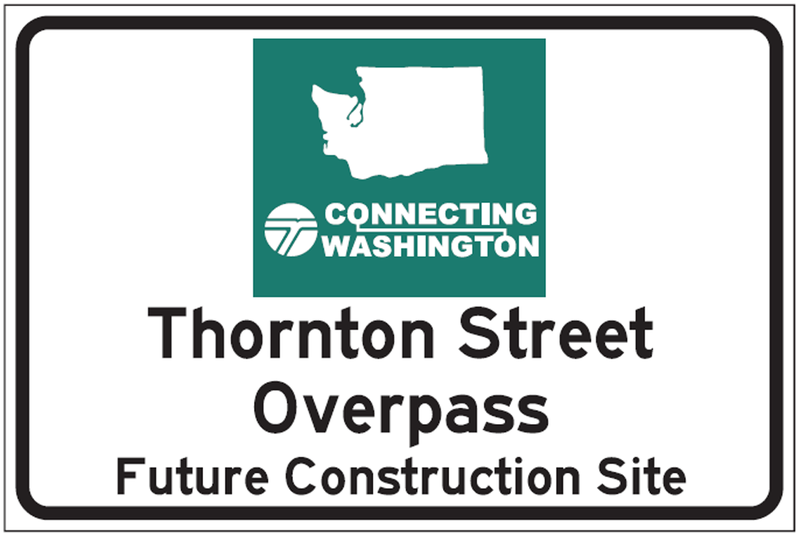 In addition to the elevated crossing, Thornton Street will be upgraded to full city standards, including curb, gutter, shoulder, sidewalk and new street lighting within the project limits. Plans also include construction of a new stormwater treatment and detention facility, along with various utility upgrades to the water and stormwater systems. 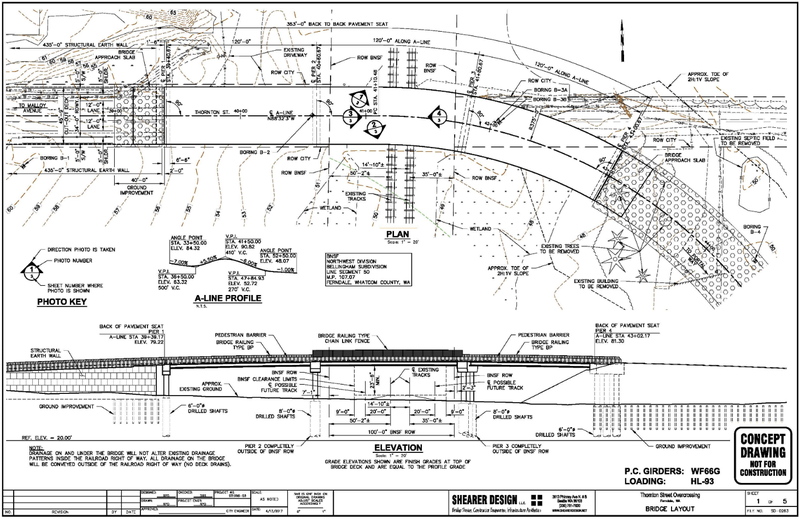 Design is underway on the bridge structure and earthen wall embankments leading up to the overpass needed to clear BNSF’s tracks, as well as on the various roadway and utility improvements planned as part of the project. The City anticipates putting the project out to bid in early 2019, with the start of construction to follow in spring the same year. Because of the large pre-loading needed to stabilize and compress the soils beneath the embankments leading up to the bridge, the construction phase of the project will stretch across multiple construction seasons to allow sufficient time for the soils to settle and compact. 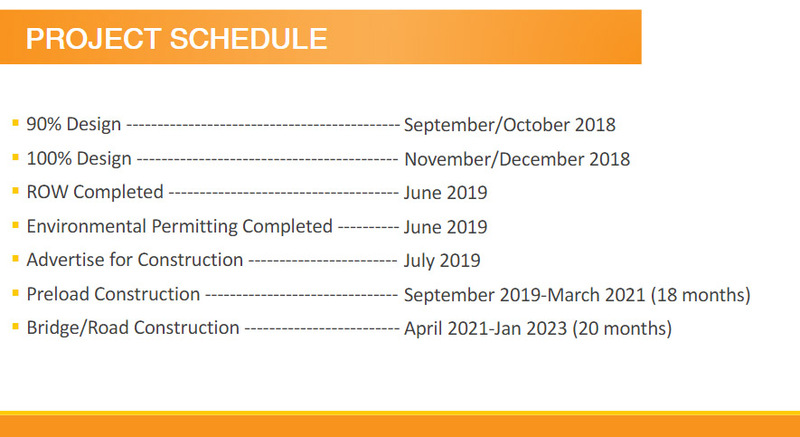 Actual construction phasing and timing will be more precise once the City moves forward with a more complete design, but we’re anticipating a 2-3 year construction phase. Thornton Street Overpass Wall Finishes – Presented to Council Feb. 19th, 2019. By general consensus, the City Council asked that the project be put forward as an alternate bid for each of the available options. The summary of the meeting can be found by clicking here. Currently barricades block Thornton Street traffic from crossing the railroad tracks at grade in both directions.